The Aymara is an indigenous population (about two million people) centered around Lake Titicaca in the high plateaus of the Andes Mountains; they can be found living in Peru, Bolivia, Chile and Argentina. The Aymara language was originally coded and written in symbols to be used as mnemonic devices – somewhat similar to Egyptian glyphs. 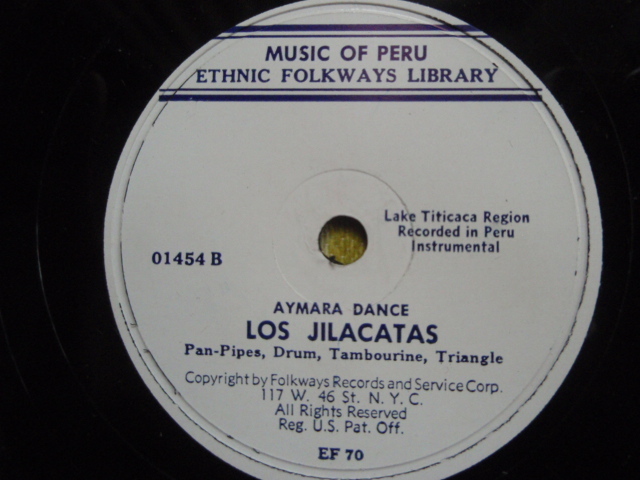 Under the influence of Spanish invasion and re-culturation, an alphabet was formed to notate the Aymara language. Some examples of interesting letters include “chh”, “kh” and “qh.” The sound of the language, while certainly informed by Spanish, has some Germanic and Arabic guttural qualities that come from pronouncing certain phonemes from the back of the throat. Bob, Joe and Merle were the Shelton Brothers. 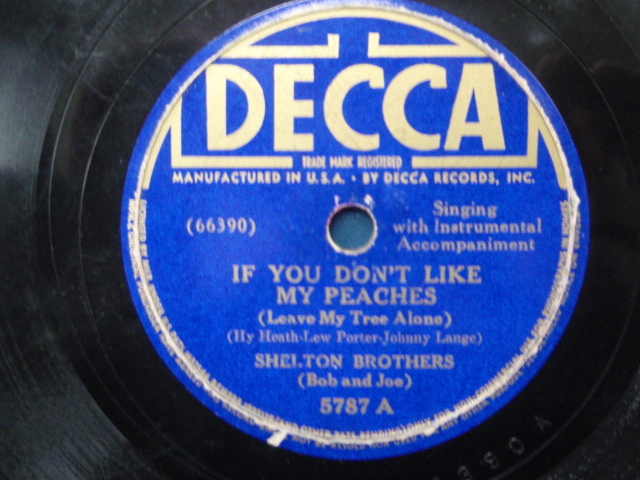 As country musicians, they were popular enough in the 1930’s through the 1960’s to “cut” over 150 sides, and a good number of those were steady poppin’ and boppin’ just like this one. Look these dudes up. 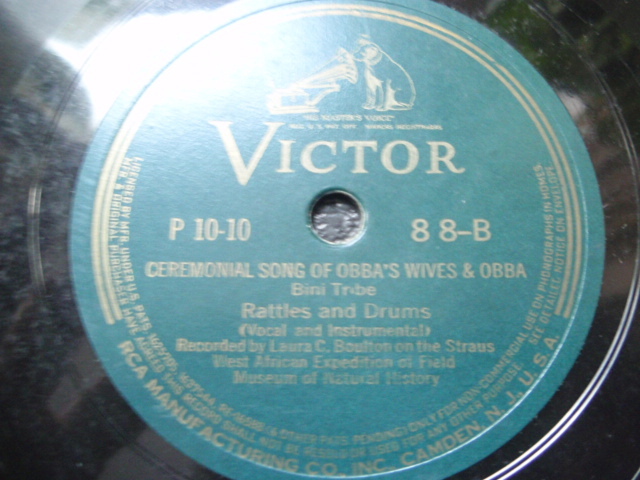 From the Decca label, 1939. There has been a long standing dispute as to the origins of the song “Key to the Highway.” It has been played and recorded by many, in many contexts: blues, folk, a capella, instrumental etc. Big Bill Broonzy, a true Chicago blues heavyweight, recorded it in the 50’s and made it famous; some say (and some editions and histories say) that he wrote the tune as well. 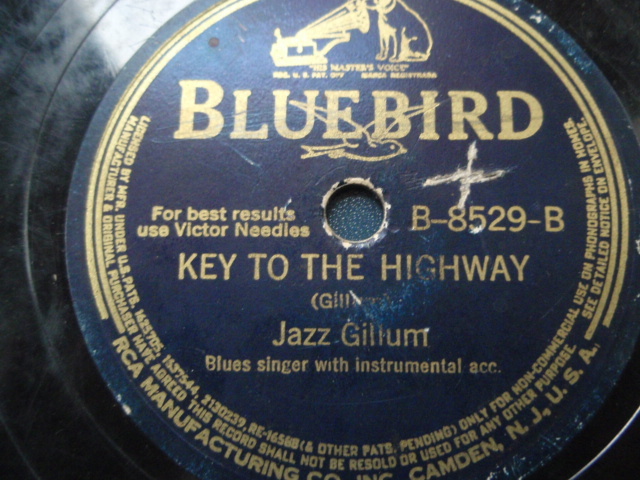 What I am posting here is Jazz Gillum’s version recorded in 1940 for the BlueBird label, and my favorite by far. The light, driving stomp and the warm vocals tell the simple story perfectly. Singing and harmonica is Gillum; the sidemen are Al Collins on imitation bass and (!) Big Bill Broonzy on guitar. The author credit on this version is listed as Jazz Gillum. This particular 78 I found in one of Chicago’s best known antique shops. However, it is not the cleanest copy: plenty of wear to this obviously well-played record.